A cosy restaurant, cafe and bar in central Oxford serving breakfasts, brunches, lunches and dinners that have been made with love. If you are partial to a cocktail (or two), love fine liquors, artisan coffees, and good music, Le Bar is the place for you. Our Magdalen Road cafe, offering breakfasts, lunches and brunches. Across our venues, we pride ourselves on only using sustainably sourced ingredients to ensure the best tasting food and drinks that you can enjoy totally guilt-free. 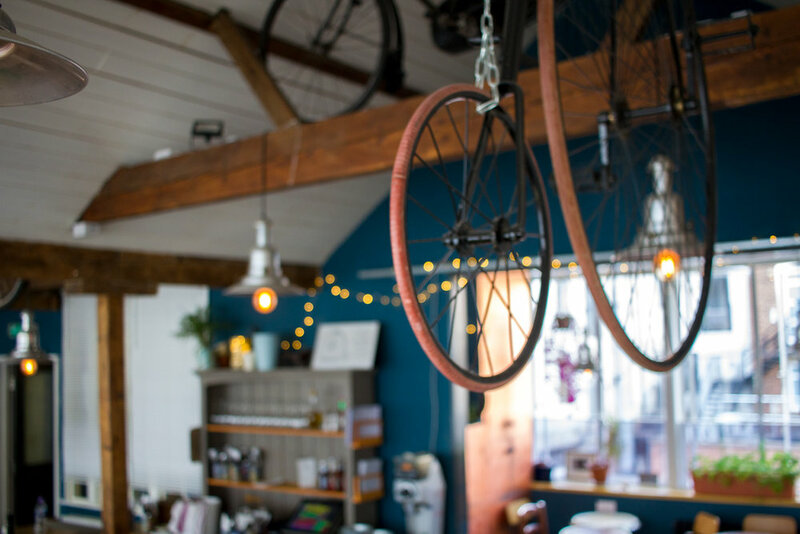 Whether you’re looking for an organic vegan breakfast, a locally sourced dinner, fancy grabbing a quick coffee, or want to try one of the finest cocktails in Oxford, the Handle Bar has something for you. Just click on any three of our locations to find out more. why not host it at the Handle Bar?